The University Library of the University of Tromsø – The Arctic University of Norway (UiT) was founded in 1968. Its book collections reach further back in history, however, as several institutions for higher education and research have since been merged with the university. Among these are the College of Education of Trondenes/Tromsø (established 1826), the Museum of Tromsø (1872), and the Northern Lights Observatory of Alta/Tromsø (1899). With each institutional merge, old book collections, particularly specialized on topics relating to the Far North, have followed. 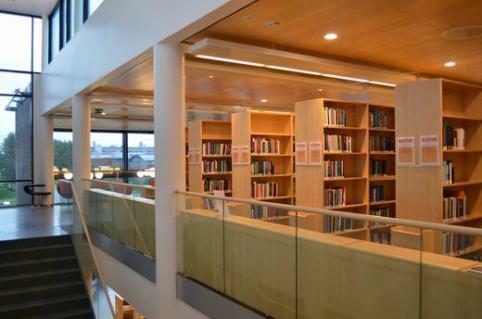 The University Library of UiT became the first library in Norway to join EoD in 2017. Oria is a search tool that allows you to search in the Norwegian academic libraries' resources, books, articles, journals, music, films and electronic resources etc. Nearly 40.000 titles from the UiT University library can be ordered as an e-book directly from the catalogue via the EOD-button.